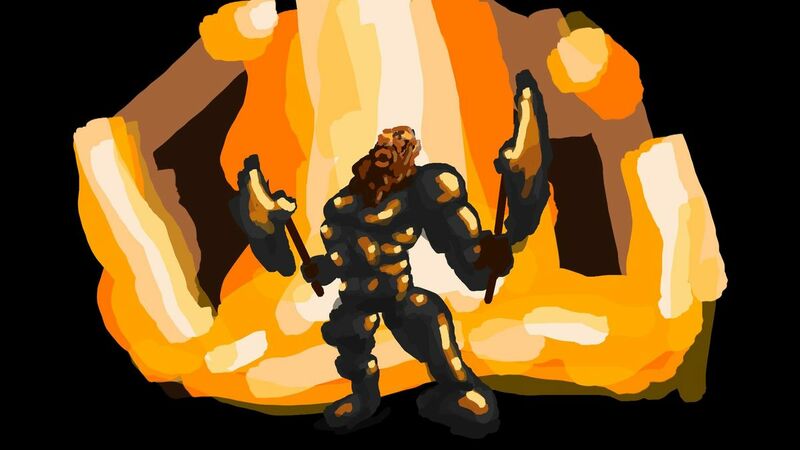 This is an armored barbarian fantastic character designed by me. It looks like coming from hell. I designed this character with Adobe Photoshop brush tools. I defined this technique as fast fantasy art. I made small GIFs from process that ...expand text.